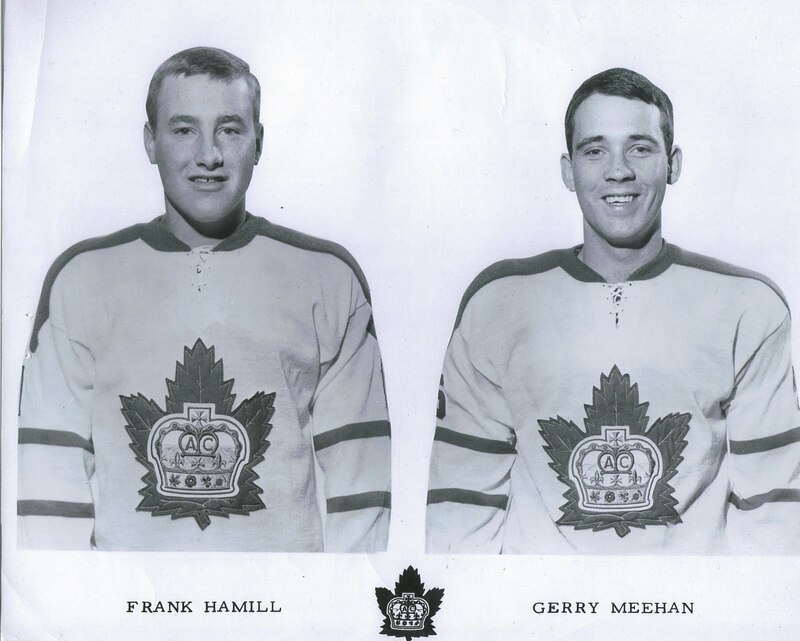 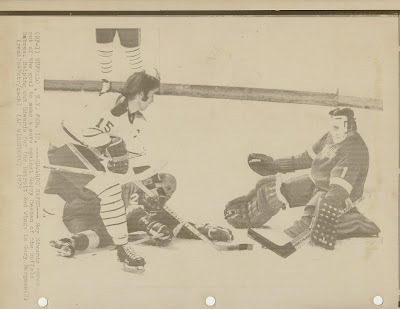 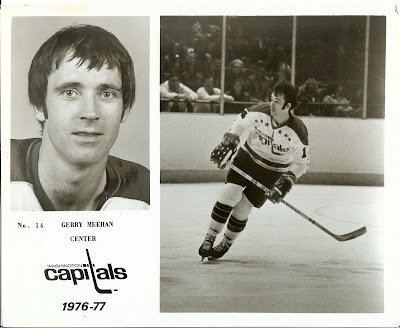 This original photo of Meehan and Terry Crisp of the St. Louis Blues has the following note handwritten on the back: "This photo was 70-71 season. 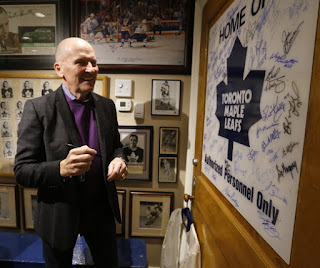 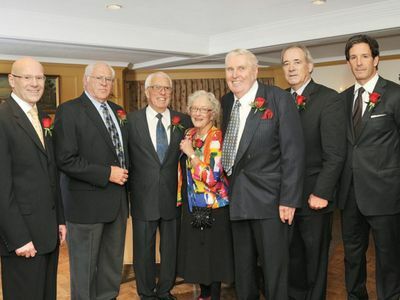 Won 3rd prize in NHL Hall of Fame contest." 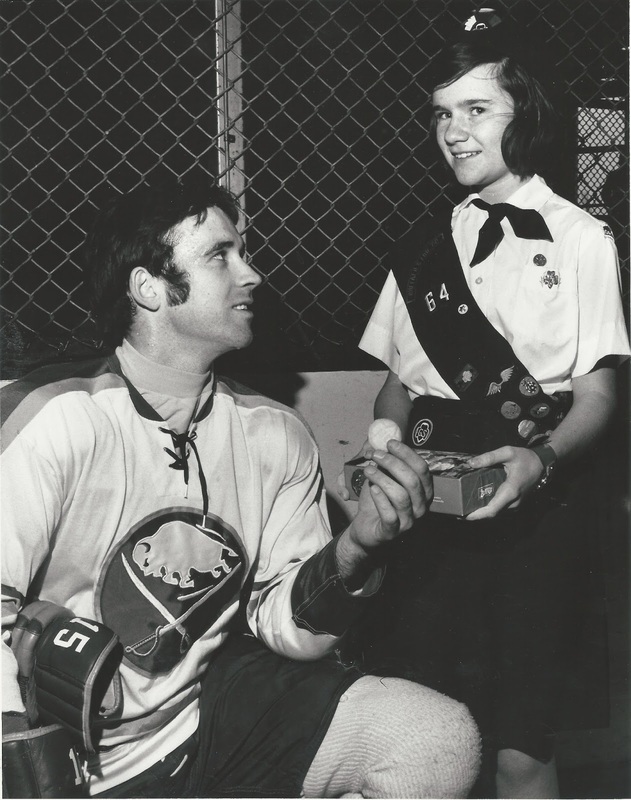 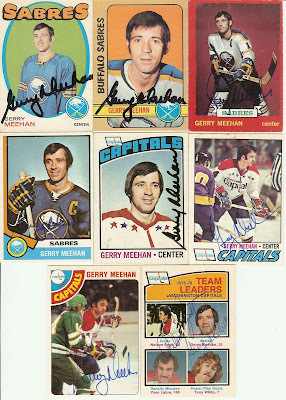 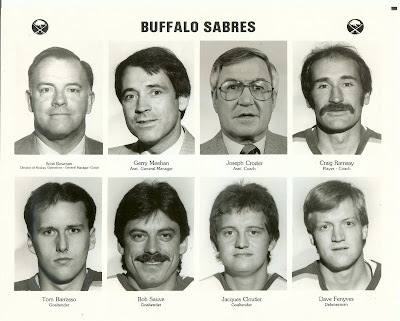 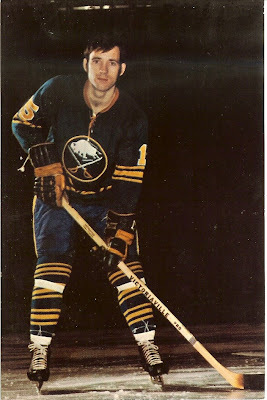 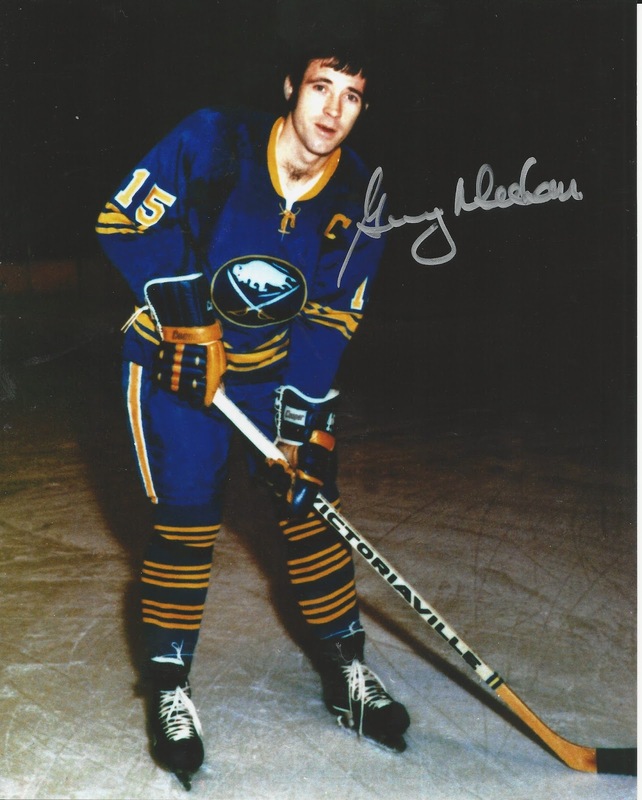 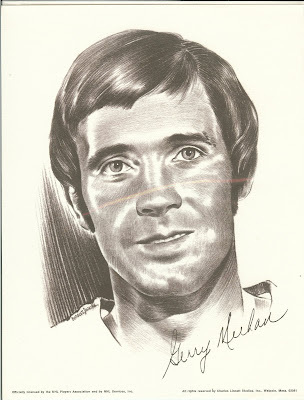 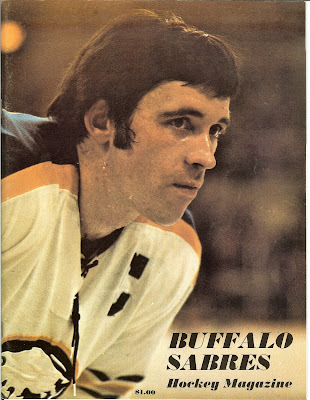 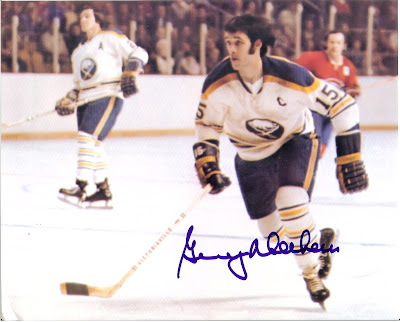 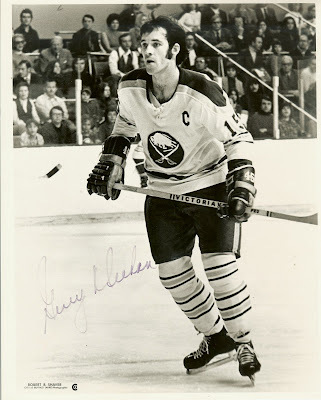 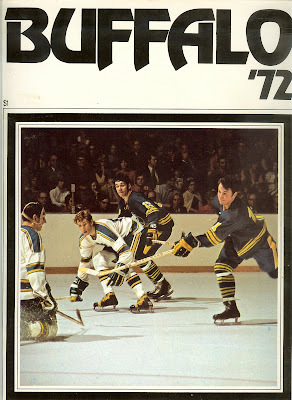 This was also used for the cover of the 1971-72 Sabres yearbook. Here is an original photo by Robert Shaver of Meehan trying to hold up Yvan Cournoyer of the Montreal Canadiens. 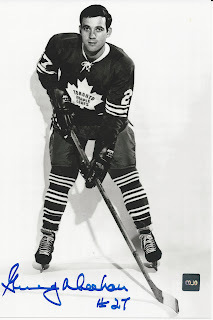 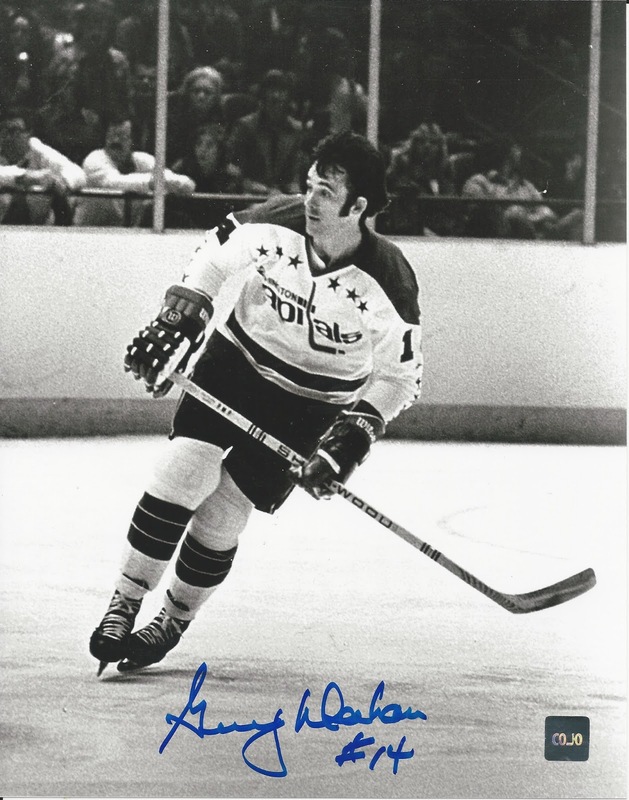 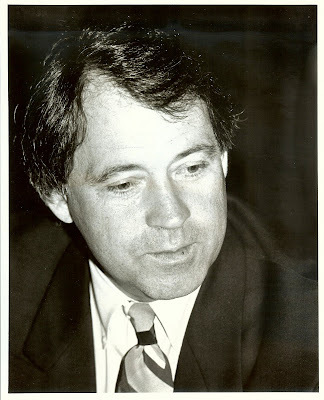 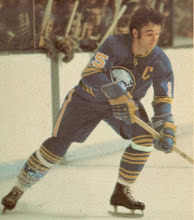 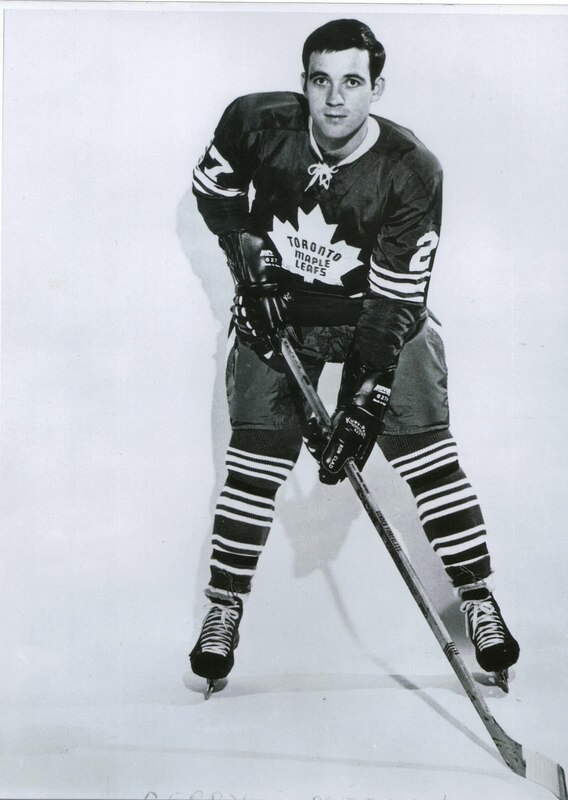 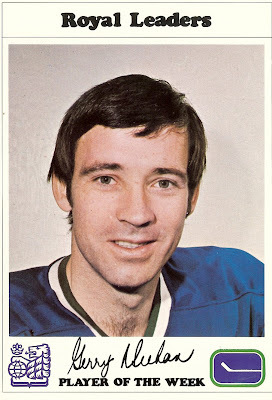 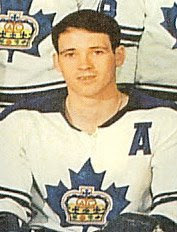 Nicknamed "The Roadrunner," Cournoyer played from 1963 to 1979 and was inducted into the Hockey Hall of Fame in 1982. 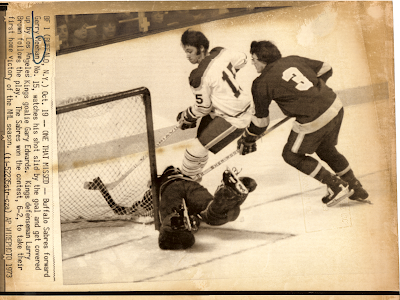 Original photo by Robert Shaver of Meehan being blocked by the Los Angeles Kings' Bob Woytowich. 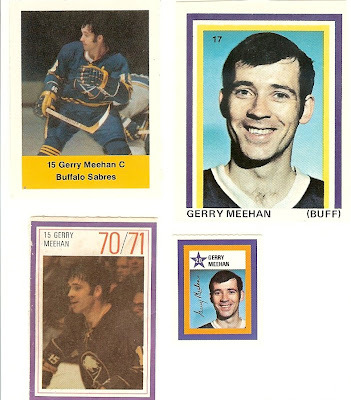 This is from the 1971-72 season, because Woytowich played only 36 games for the Kings, and they were all in that season. 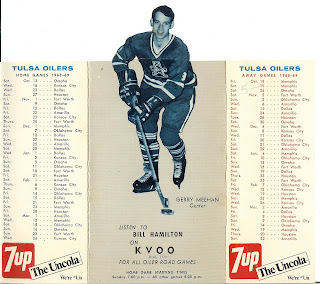 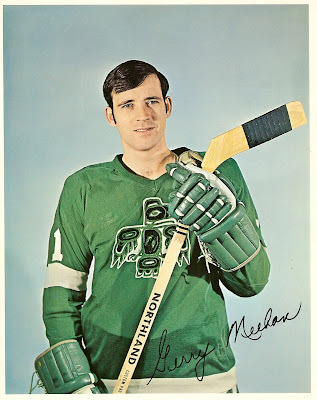 Handwriting on the back says "Winnepeg" (sic), but while Woytowich played three seasons for the Jets after leaving the Kings, the uniform on the left is clearly the Kings, and the Jets played in the WHA. 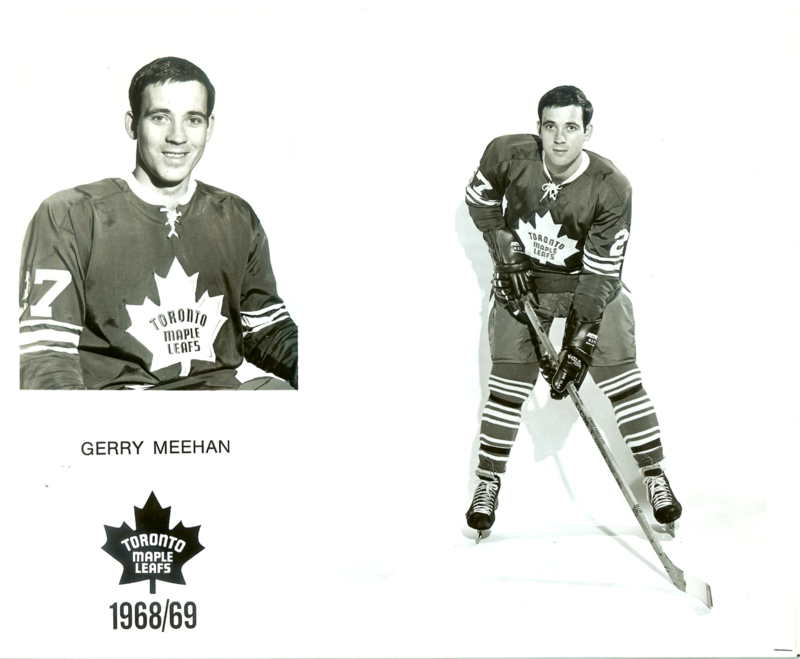 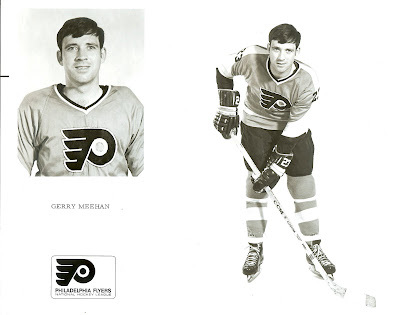 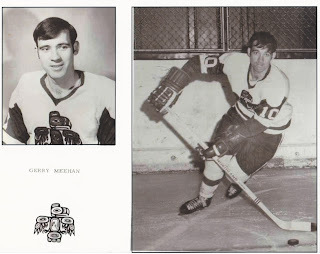 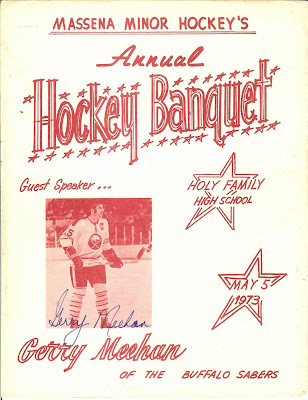 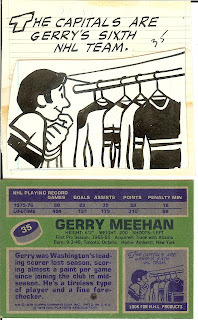 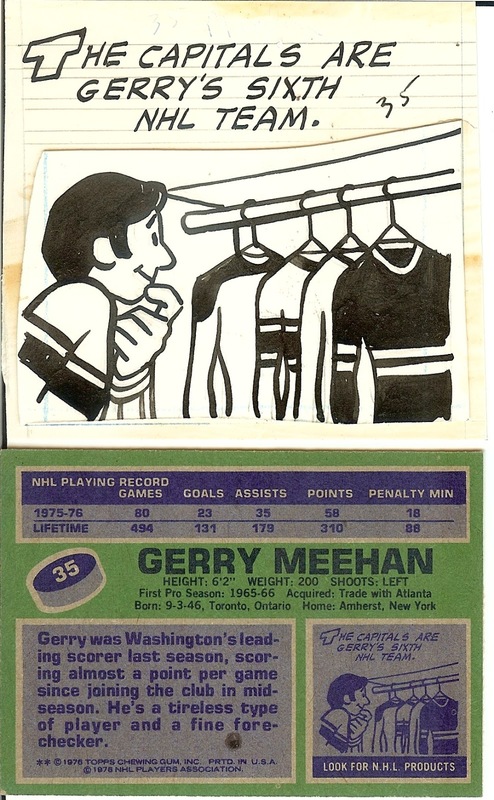 As an Atlanta Flame, Meehan is upended against the Los Angeles Kings. 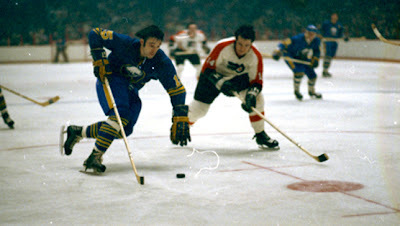 The culprit appears to be Kings defenseman Neil Komadoski (#23). 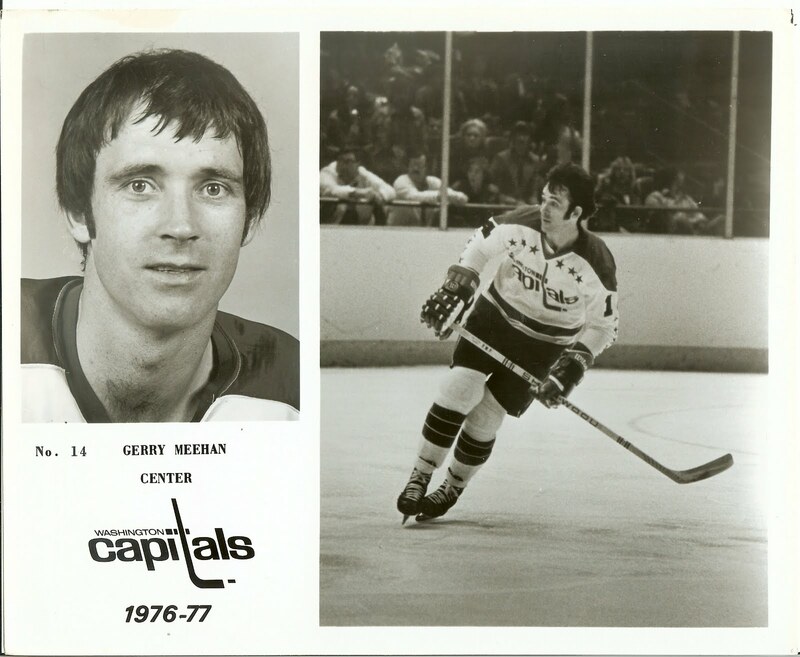 Original 5x7 photo from 1976 by Jerry Wachter. 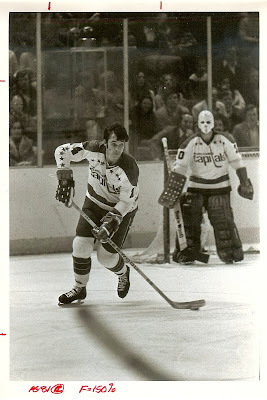 In the background is goalie Bernie Wolfe. 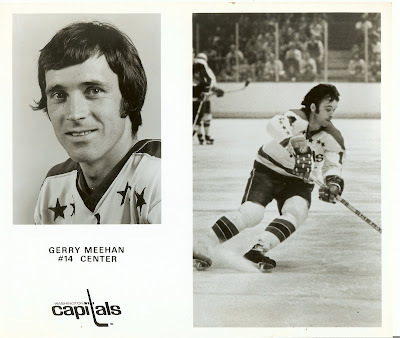 Original photo of Meehan celebrating a goal against the Minnesota North Stars. 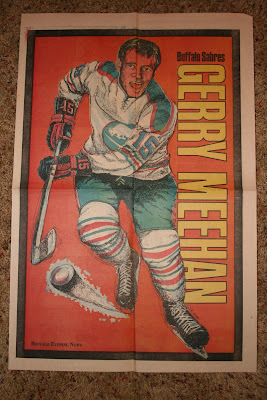 The photographer's name is on the front and back, but I can't read it. 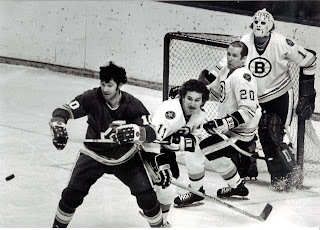 As an Atlanta Flame, pictured with Andy Savard, Dallas Smith, and Gilles Gilbert of the Boston Bruins, Oct. 21, 1975. 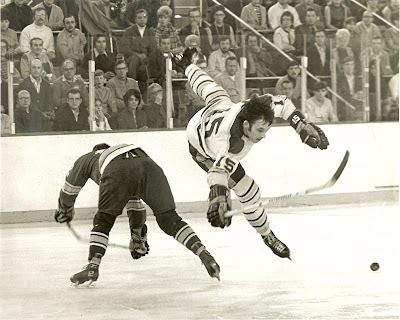 Original photo obtained from the Boston Globe. 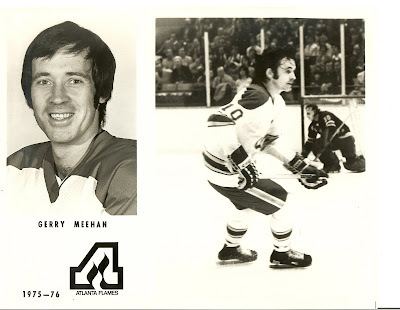 This 1975 AP photo shows Meehan with the Atlanta Flames. The caption reads: "ATLANTA, Nov. 25 -- FLAMEOUT -- Montreal Canadiens' Pierre Bouchard (26) blocks a shot on goal by Atlanta Flames' Gerry Meehan (10) during the 1st period of Tuesday night's game in Atlanta. 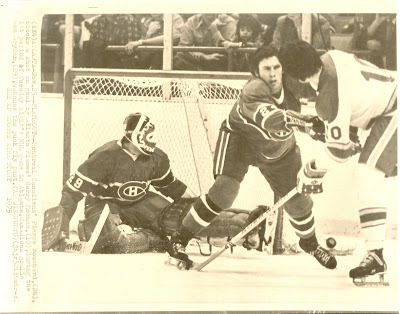 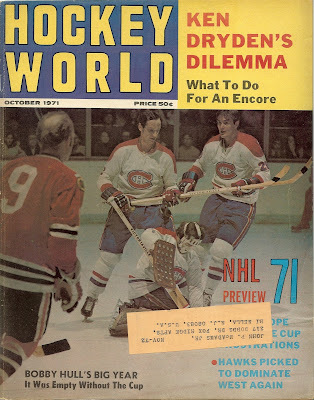 Canadiens goals Ken Dryden (29) watches the puck fly past." This lower quality AP photo is from 1973. 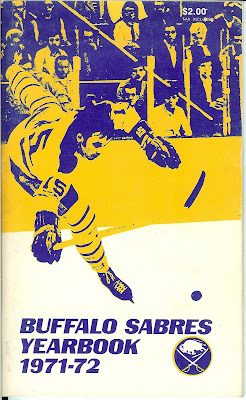 "BUFFALO, N.Y., Feb. 12 -- EDWARDS SAVES -- Roy Edwards comes out of the goal to make a save against Gerry Meehan of the Buffalo Sabres. 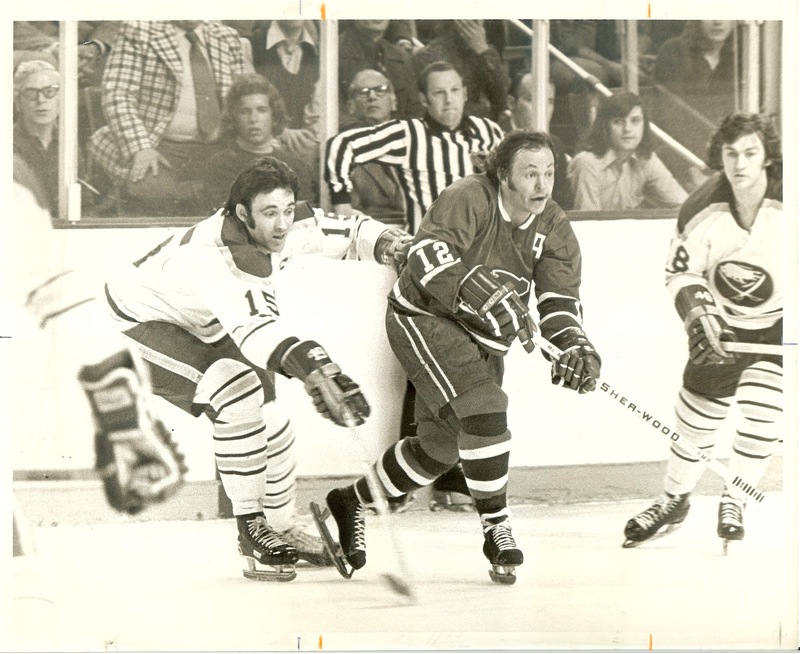 Helping out for the Detroit Red Wings is Gary Bergman (2)." 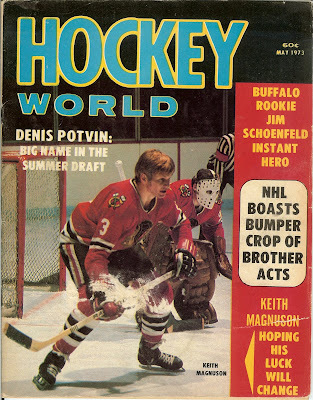 Meehan faces off against Chicago Blackhawk great Stan Mikita. Original photo by Robert Shaver. Autographed photo, by Robert Shaver. 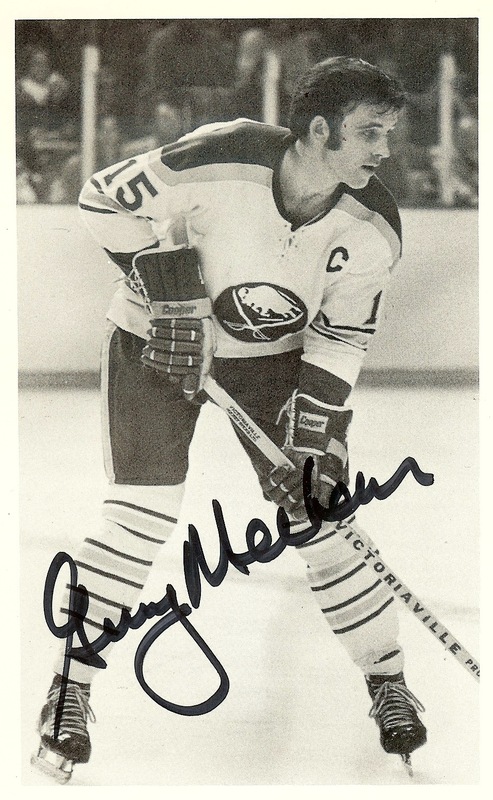 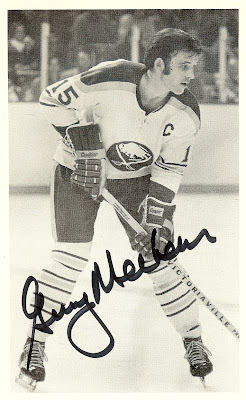 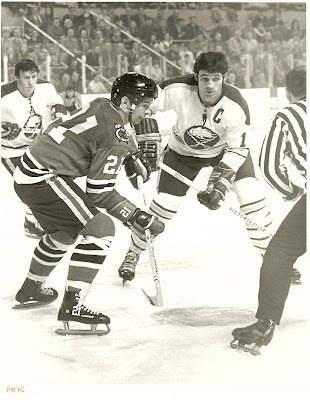 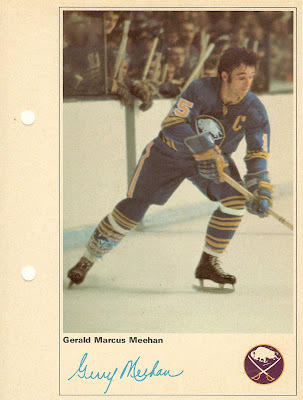 From Oct. 19, 1973, the caption of this AP photo reads: "Buffalo Sabres forward Gerry Meehan, No. 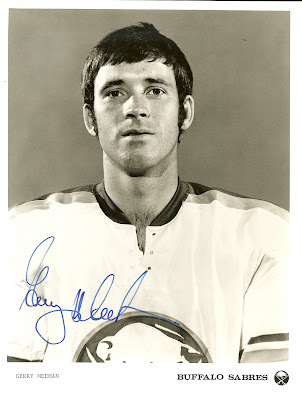 15, watches his shot slide by the goal and get covered by Los Angeles Kings goalie Gary Edwards. 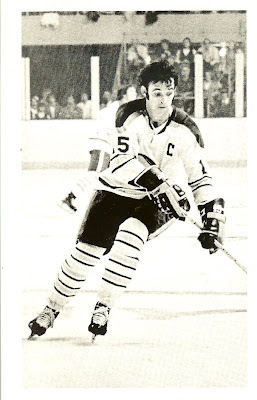 Kings defenseman Larry Brown follows the play. 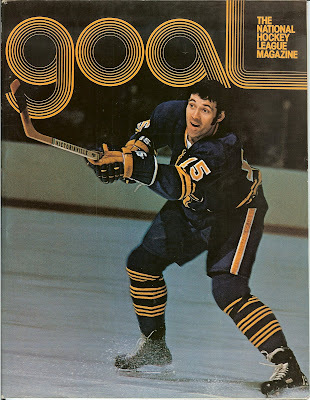 The Sabres won the contest, 6-2, to take the first home victory of the NHL season." 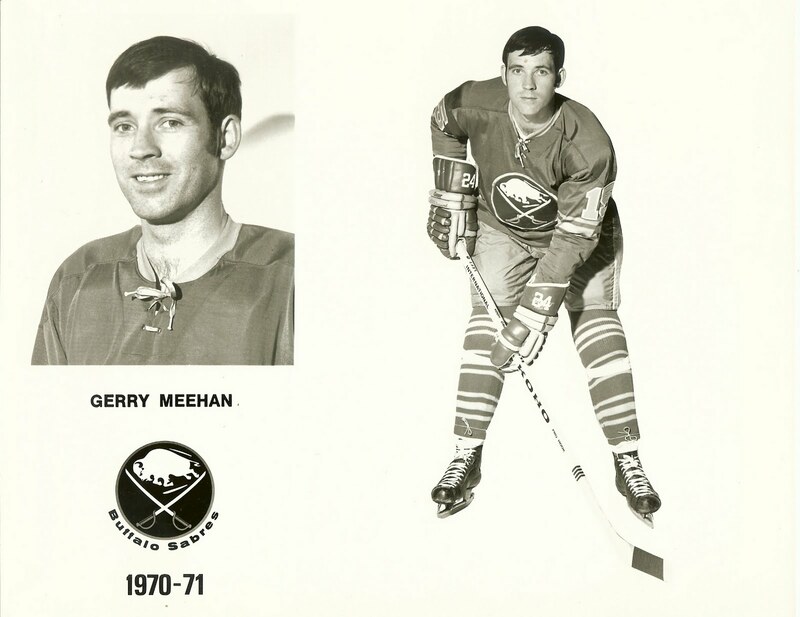 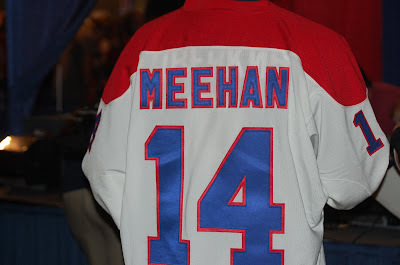 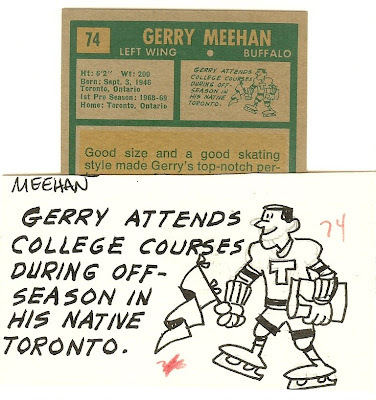 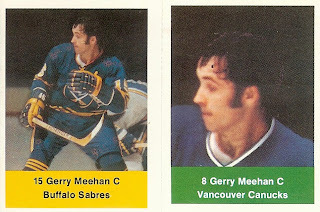 "A New Sabre Who Made It Big"
"Meehan Wants to Make It...So He Did!"